This new Accor chain hotel is the third one in Vilnius after Novotel hotel and Ibis Styles, which is located outside of city center. 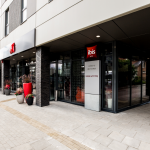 Ibis Vilnius Centre is located in the very heart of Vilnius city, within walking distance to Unesco Heritage Old Town and the most famous places of interest: Gediminas Castle and the Cathedral Square. Vilnius International airport is 20 min driving distance and Old Town – 5 min walking. Another brand new hotel, which has also opened its doors this year – Marriott Courtyard hotel, is located on the other side of the street. It offers 164 modern, soundproof and air-conditioned rooms, which are all equipped with bathrooms with shower and hairdryer, cable TV & radio, free Wi-Fi access. 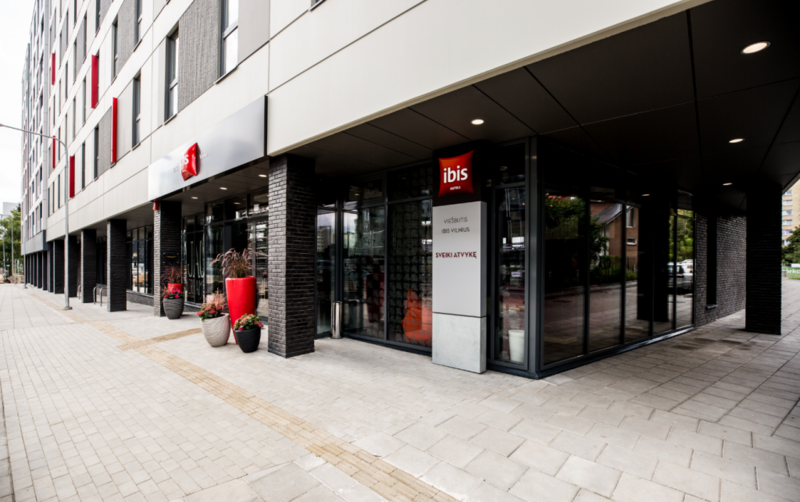 The 90-seat international cuisine restaurant Ibis Kitchen brings a warm atmosphere for business meetings as well as for leisure. The hotel has two modern conference halls for small events – both of them can welcome 30 people in theater style. The halls are air-conditioned and have both multimedia with screen, a flipchart and stationary board and of course wireless internet with no extra charge. Coffee breaks can be offered during meetings.